to grab hold its oars. the touch of the spirit. row then, row like fire. 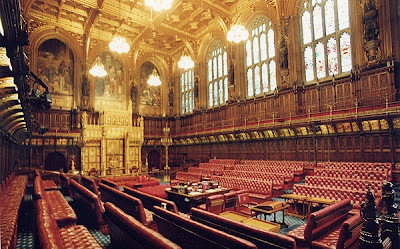 The Chamber of the House of Lords showing the throne from which Queen Elizabeth formally opens each session of the British Parliament. Tim Koch, now back in London after his Canadian trip, sends this post, the production of which was delayed by his holiday. He promises that more Canadian stories are to follow. In London, on 8 May, Queen Elizabeth formally marked the start of the 2013 parliamentary year with the State Opening of Parliament. In part, it is a day with numerous elaborate and obscure rituals that culminates in the Queen’s Speech. While delivered by Her Majesty, the Speech is actually written by the government and it sets out its proposed policies and legislation for the coming session. Following this ‘Royal Address’ the ritual ends and normal parliamentary procedures resume with debates on the programme just set out. The State Opening is one of the rare occasions when the three constituent parts of the British Parliament – the Head of State (the Queen), the House of Lords (the upper chamber, roughly equivalent to the American Senate) and the House of Commons (the lower chamber, roughly equivalent to the American Congress) – meet together. The Opening formally begins with the arrival of the Queen at the House of Lords where she will deliver her speech. She travels from Buckingham Palace in great ceremony in one of the horse drawn state coaches. The Royal Procession. HM The Queen in the 1851 Irish State Coach. Much of the ritual of the day concerns stressing the independence of the Commons from the Lords that was secured in the English Civil War, 1642-1651, fought between Parliamentarians and Royalists. The most important of these rituals stems from the fact that the Monarch cannot enter the Commons lest they should interfere with the elected Members of Parliament. Thus a House of Lords official known as ‘Black Rod’ is sent to the Commons to summon MPs to the entrance of the Lords to hear the forthcoming speech. To emphasise their independence from the Crown, Black Rod has the door to the Commons slammed in his face as he approaches. An even stranger practice concerns the ‘Delivery of the Parliamentary Hostage’. Before the Queen leaves Buckingham Palace, the Commons sends one of its members to the Palace to be held as security in case Parliament should turn upon her – as when they beheaded her 8th Great-Granduncle, Charles I in 1649. The Royal Procession. Two Royal Watermen act as boxmen sitting on the back of a landau containing non-Royal officials. Regular HTBS readers will now be waiting for ‘the rowing angle’. As the picture above has already hinted at, there is one to be found. It concerns the role played in the day’s ceremonials by the Queen’s Bargemaster and the Royal Watermen. 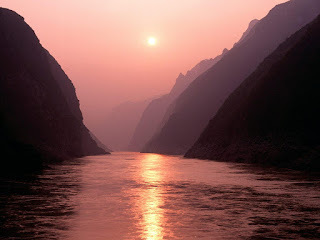 Until the mid nineteenth century the safest, quickest and most comfortable way to travel any distance was by river. Roads were rough, slow and dangerous. Those who could afford it owned their own elaborate river craft and employed skilled watermen to row them. Royalty found this mode of transport especially convenient as the royal palaces of Windsor, Westminster, Hampton Court, Greenwich and the Tower of London were all linked by the Thames. When travel by river fell out of favour, Royalty retained their Watermen under the command of the Bargemaster for ceremonial duties on land and water. All apprentice served watermen, many Doggett’s winners, they still receive a somewhat medieval salary of £3.50 a year. Half an hour before the Queen’s arrival at the Lords, the three great symbols of Royal authority, the Imperial State Crown, the Sword of State and the Cap of Maintenance are conveyed to the Lords in their own State Coach in the Regalia Procession. The immediate ‘security’ for these fabulous objects is provided by the Queen’s Bargemaster and another Royal Waterman, who both ride on the rear of the carriage as ‘boxmen’. 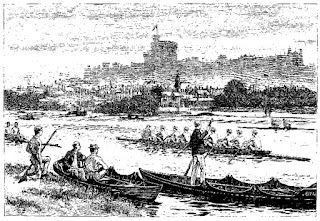 This is a reminder of the days when the Royal regalia would have been rowed to Parliament by river from the Tower of London. The Regalia Procession. The coach contains the Crown and other symbols of Royal Authority. The Queen’s Bargemaster, Paul Ludwig, is standing on the rear of the coach nearest to the camera. To his left is another Royal Waterman. The Regalia Procession. The Crown can be seen clearly through the window. The Regalia Procession. A landau carrying officials and other regalia also has two Royal Watermen (seated) riding as boxmen. On arrival the Crown is removed from the coach by the Crown Jeweller, Michael Swift. He hands it to the Queen’s Bargemaster, Paul Ludwig. He in turn hands it to the Comptroller of the Lord Chamberlain’s Office, Lt Col Andrew Ford, who takes it into the building properly known as the Palace of Westminster. The Regalia Procession arrives at Parliament. The Queen’s Bargemaster carries the great symbol of Royal authority, The Imperial State Crown. 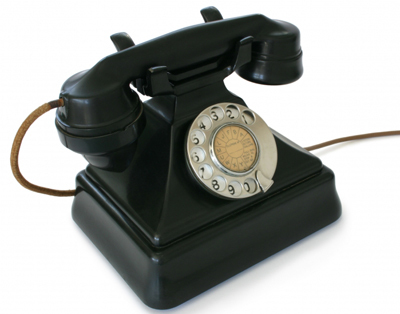 It is only used at the Opening of Parliament and at Coronations. Paul Ludwig hands the Crown to the Comptroller of the Lord Chamberlain’s Office, Lt Col Andrew Ford. Historically, Watermen were regarded as rather roguish figures so it is surprising that they were entrusted with an object that includes 2868 diamonds (including one of 317 carats) plus numerous pearls, sapphires, emeralds and rubies. Perhaps this explains why the Bargemaster is allowed to have the Crown in his hands for only twenty seconds. The Imperial State Crown - trusted to an oarsman for twenty seconds. The 2013 European Championships, held at Sevilla, Spain, are only a couple of days away. The course officially opened this morning at 7:00 a.m. local time, and the first heat starts on Friday, 31 May, at 9:00 a.m. B-Finals and A-Finals are on Sunday. Read more about the European Championships here. If you are interested in the results from the Junior European Championships held in Minsk, Belarus, you will find them here. A few days before 9 June, take a look at the universities’ websites which oarsmen are in the crews: Harvard website & Yale website. 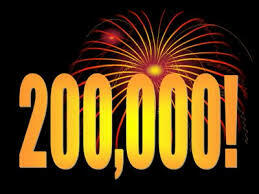 My thanks to ‘Anonymous’ and Tom Weil. 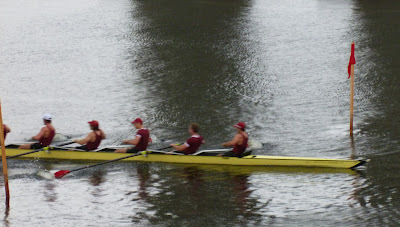 The Harvard Heavyweight crew crossing the finish line last year. The 148th race between Yale and Harvard is soon coming up. This year it is on Sunday, 9 June, 2013, already at 9:00 a.m. and as usual it is held on the Thames River in New London, Connecticut. The 'race' is actually three races: Freshman's Race (2 miles), the Second Varsity Race (also called the Junior Varsity Race; 3 miles) and the Varsity Race (4 miles). According to Yale's website it is the Varsity Race that starts at 9:00 a.m. which means that the two other races are a couple of hours prior to that. I am afraid that neither Yale's nor Harvard's websites give any information about times or who is in the crews or anything else that a Yale-Harvard Regatta fan might like to know. The two universities really like this to be a private affair, which is a pity, I think. Maybe they should glance at how media-friendly the Oxford-Cambridge Boat Races are in England...? A panoramic view of Vancouver Rowing Club, Coal Harbour and the downtown Vancouver skyline. (Like all HTBS pictures, double click to enlarge). On Thursday, 16 May, six days into my trip from Calgary, Alberta to Victoria, Vancouver Island, I arrived in Vancouver, the beautiful and cosmopolitan city set between the Pacific Ocean and the Costal Range Mountains on Canada’s west coast. I was aware that there was a Vancouver Rowing Club and had vague hopes of perhaps seeing it in passing but, not only did I get to visit VRC and find it a welcoming and thriving club with a strong awareness of its history but, by a lucky chance, I was also able to witness a very special event in the club’s 128 year existence. Tim points out the location of VRC which adjoins the beautiful Stanley Park and overlooks Coal Harbour and downtown Vancouver. Exploring the Downtown area of Vancouver I naturally found my way to the adjoining waterfront, a modern and expanding business, leisure and residential area overlooking Coal Harbour. Just to the north of this, I came to the headland that is the expansive Stanley Park. Studying a map of the area, I found the Vancouver Rowing Club clearly marked, sited in the inner harbour on the edge of the park. Approaching it I found a delightful ‘mock Tudor’ boathouse with six boat bays and a terrace with commanding views of the harbour and of the Vancouver skyline. Vancouver Rowing Club. The present building dates from 1911. The VRC Clubhouse from the side showing its view of the Vancouver waterfront. At the boathouse, I encountered an unexpectedly busy scene for a Thursday afternoon. I found that they were expecting a visit from Prince Andrew, Duke of York, who was making a four-day visit to British Columbia. He is Queen Elizabeth’s third child and forth-in line to the throne of the United Kingdom – and of Canada (sadly, in North America, he is perhaps best known as the former husband of Sarah ‘Fergie’ Ferguson). Prince Andrew’s father, Prince Phillip, Duke of Edinburgh is a patron of the club. Greeted by an honour guard of rowers holding oars erect, the Prince Andrew spent half an hour at the club of which he is an honorary life member. He had previously visited it in 1978, then accompanying his father. A VRC Honour Guard prepares for the arrival of Prince Andrew. HRH Prince Andrew (right) talks to members of the Honour Guard on his departure. After the departure of the Royal Party, I was shown great hospitality by Nathan Kraft and Bill Myra. Bill is Captain of Rowing and it was soon clear that he, Nathan and others are striving to maintain and develop VRC as an all-inclusive club serving all sections of the community. There are very popular learn-to-row classes and the members range from 14-year-olds to people in their 70s. The proper establishment of adaptive rowing is one of Bill’s current projects. VRC seems to offer a programme to suit most abilities and ambitions. 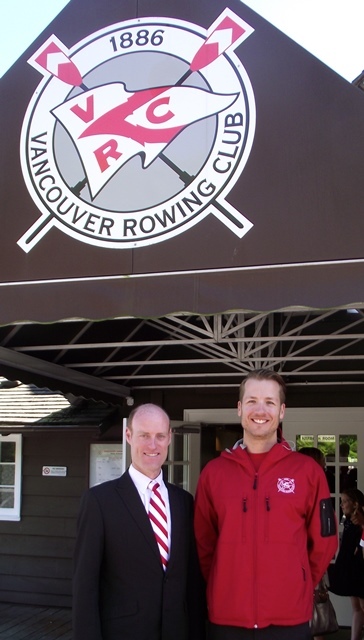 Bill Myra, VRC Rowing Captain (left) and Nathan Kraft (Board Liaison). Both are part of a team that strives to make VRC a fully inclusive club. Sculler Eugine Cheng with some of VRC's fleet of 30 Hudsons, Pococks and WIntechs. Master rowers David Rahn (left) and Gordan Chutter (right). Active members of the club belong to one of four sporting sections for, in addition to the founding sport, VRC also offers rugby (originally introduced for the rowers to play in the winter), yachting and field hockey. There is also a thriving social membership for those wanting to take advantage of the splendid facilities offered in an historic setting. The three main social areas are the Trophy Lounge which, as the name suggests, has a fine display of silver rowing trophies, the dining room / dance hall known as the Harbour Room and the ‘pub style’ Carver Room. All have fine displays of historic photographs, trophies and memorabilia (including Ned Hanlan’s cane) and are immaculately maintained. Some of VRC's social offerings. The Trophy Lounge. The floors in the three main function rooms are made from Canadian hardwoods. From a HTBS point of view it is good to see that such a modern and forward thinking club also has such an awareness of its history and heritage. The website has an excellent history section as does its Wikipedia entry. 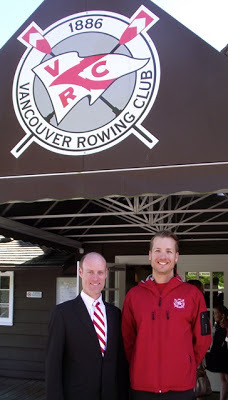 There is a hard to find book by Jack Carver entitled The Vancouver Rowing Club – A History 1886-1980 (1980). In brief summery of the highlights of the club’s history, the ‘Vancouver Boating Club’ was formed in 1886 and soon built its own floating boathouse. A picture of the first boathouse in 1888. Four years later a rival club, Burrard Inlet RC, was formed nearby and Coal Harbour was the scene of many hard fought races between the two clubs. 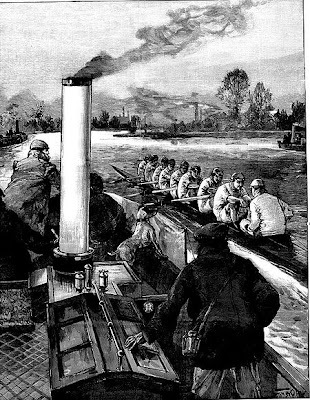 However, following success with composite crews, in 1889, the two merged to form the present club. Initially the floating boathouses were towed to the present site but in 1910 plans were made for a new clubhouse with ‘a reading room, reception hall, ballroom, gymnasium and accommodation for all racing boats, canoes, and training quarters for the crews’. In 1911, what is essentially today’s building was opened for business having cost $15,000. The club flourished but the membership was decimated in the 1914–1918 War where a membership of 200 produced 164 volunteers to the armed forces. By the 1920s the club had recovered to the extent that a VRC four won a silver medal in the 1924 Paris Olympics. In 1927, Colonel Spencer of the VRC arranged for the Major Goodsell of Australia to make his fourth defence of his World Professional Sculling Championship title on Vancouver’s Burrand inlet. This was unusual in that races were normally held in the Champion’s home country. Goodsell (‘Major’ was his given name, not a rank) easily defeated the Englishman Bert Barry. However in a return match three months later, also on the Burrand, the result was reversed. 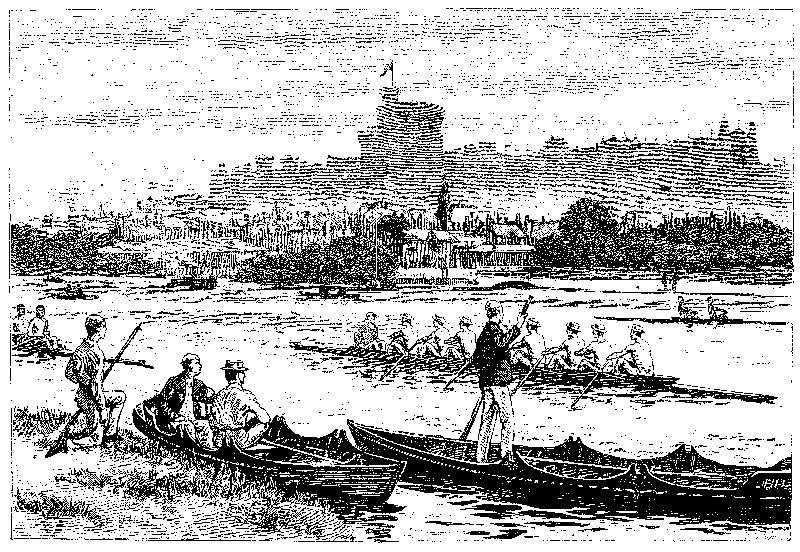 Whatever the result, the interest generated was a boost to rowing and sculling in the city. The inter-war years saw may successes despite the restrictions imposed by the Great Depression but the post 1939–1945 War period saw the need to share the club’s facilities with the University of British Columbia in order to survive. In any event, in the 1954 British Empire Games held in Vancouver, a very raw VRC/UBC crew coached by the legendry Frank Read soundly defeated a much fancied and very experienced English eight (essentially a Thames Rowing Club crew) despite catching two crabs in the first eight strokes. In the next year the same crew beat the ‘undefeatable’ Soviets in the semi-final of the Grand at Henley. Film of their race in the final is here. They returned home national heroes. In the 1956 Olympics in Melbourne, Frank Read produced the four that won Gold and the eight that won Silver. More national heroes returned to Vancouver. In the 1960 Rome Olympics another Frank Read four won Silver, Canada’s only medal of the Games. In the 1964 Tokyo Olympics, a UBC/VRC pair won Gold. Remarkably the two men were the spares from the eight who had only raced together twice, the second time being the Olympic final. 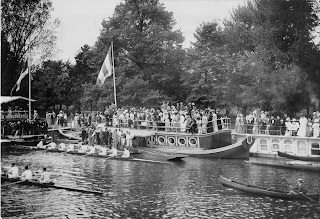 The Vancouver Rowing Club’s Olympic record of two gold, three silver and one bronze tops all other rowing clubs in Canada, accounting for six of the thirteen medals won from 1904 to 1964 and all of the country’s gold medal victories up to that date. A VRC double in Coal Harbour. In my very short visit to Vancouver I gained a very favourable impression both of the city and of the VRC. I left feeling that other urban developments and other rowing clubs around the world could learn a lot from these splendid Canadian examples and I look forward to a return visit someday. My thanks to all those at VRC who showed me such hospitality, to Prince Andrew for the royal wave and to Maggie and Andreas for their patience while I indulged in boaty things. 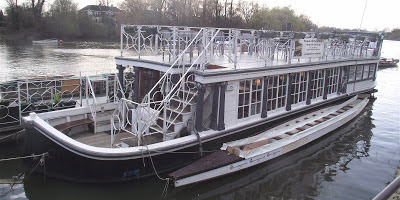 On 1 May Ian M. in Oxford pointed HTBS in the direction of a collection of some old photographs of barges in Oxford. The other day, Ian sent a message about an interesting article in the Oxford Mail about one of these barges. HTBS tweeted about the article at the time, but if you missed it, the article is here. The News, 16 July 1924. 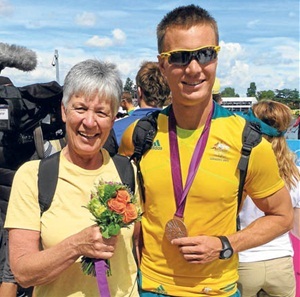 ‘Here is a voice recording of an interview in which Christine McRae (mother of James, a Murray Bridge rower who went on to the 2008 and 2012 Olympics) says that the Cods won the race in Ireland. Sadly, Christine is mistaken, although it would have been nice for these guys to have won something after all their efforts. Glad to know that you were on the ball: there’s nothing worse than facts being wrong and repeated. I will endeavour to write to Christine and to the various local websites pointing this out. My view was that these guys tried as best as they could but everything was against them and it was probably the case that they competed against better rowers anyway. There was a large crowd of enthusiasts it the Outer Harbour on Saturday afternoon to welcome the Murray Bridge rowing crew, who were, returning by the R.M.S. Mooltan from London after participating in the Olympic Games. Interviewed on board the vessel, Sir C. A. M. West (manager) said that although the crew were disappointed at not getting pride of place, they were by no means discouraged, and were as keen oars men as ever. Much had been said of their inability to secure the desired success, but he would say, to express the sentiments of the members of the crew, that the best eight won. The trip had been most beneficial in more ways than one. All were enjoying good health. The crew had not practised since the Tailteann Games at Dublin, in August, so were now well rested. At the Olympic contest he was greatly impressed at the fact that the crews favoured the swivel rowlock and that the Americans used a longer slide, which appeared to help the men in their, swing and reach. The crew were in England only a few days, and were not greatly impressed by the English summer, as it rained continuously. The Thames Rowing Club very kindly made the crew honorary members for the time of their stay, and offered them the use of racing boats. In the Irish sports the Australians generally were successful, and secured 29 medals. The crew were defeated by Derry after a grueling contest. After participating in the eights and fours Pfeiffer secured pride of place in the sculling event on the same day. 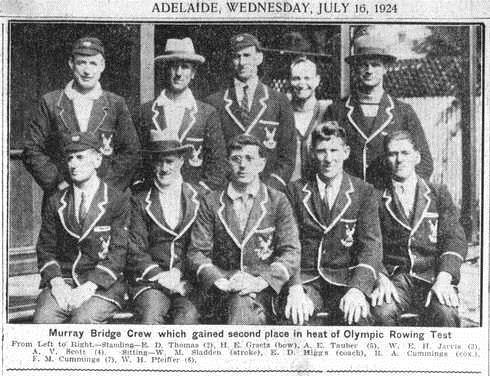 In 1924 the Murray Cods, a team of rowers from Murray Bridge, also known as ‘the raggedy eight’, competed in the Paris Olympic Games. [Actually it was the Murray Bridge crew of 1913 that were known as The Raggedy Eight]. But to get there they had to overcome all sorts of problems - class snobbery, interstate rivalry, being past their prime, lack of finances and transportation. They even sold a bullock to raise cash for their journey, then busked on the streets of Paris for expenses. Local historian Christine McRae, whose son is in training for the London Olympics, talked with Michael Smyth on 891 Drive. 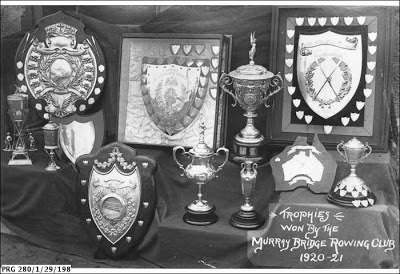 Chris talks us through the period from 1913 to 1924 when Murray Bridge were the premier crew in Australia; through WWI in which the club lost eight of its members and through the very successful post-war period up to the 1924 Paris Olympics. 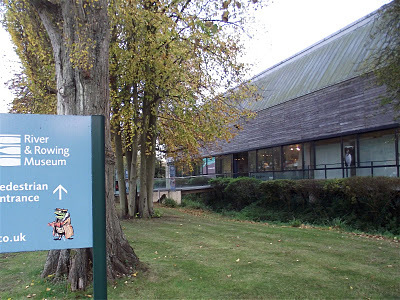 You can listen to the 12-minute programme here. As readers of HTBS will know, it was the City of Derry Boating Club and not the USA crew from Yale mentioned in the broadcast that defeated Murray Bridge. Nevertheless, it is well worth a listen. There are a couple of interesting callers to the show and a remarkable disclosure of true friendship shown by the crew to Wally Pfeiffer, who some people wanted banned from representing Australia. JAMES McRae has become the most decorated athlete in the 103-year history of the Murray Bridge Rowing Club after winning a bronze medal at the London Olympics.McRae and his Australian men’s quad scull team-mates… rowed their fastest race for the season to claim third place at Eton Dorney on Friday. The full article is here and you can watch the full race here. I was lucky enough to be there to see James win his bronze medal and here’s my ticket for that momentous day. James has now been selected for the Australian 2013 team as part of a coxed pair with fellow South Australian, Tim Conrad. According to the Rowing Australia website, “This crew may compete in the Coxless Pair, subject to them meeting determined performance criteria prior to 25th July.” Who knows, he may even return to Eton Dorney in June for the Rowing World Cup. Here is the 3rd and last episode of the BBC documentary Gold Fever about Matthew Pinsent, Tim Foster, Steve Redgrave and James Cracknell way to the 2000 Olympic final in the coxless four ~ the road to Sydney proved not always to be straight... Enjoy! Here is the 2nd episode of the BBC documentary Gold Fever about Matthew Pinsent, Tim Foster, Steve Redgrave and James Cracknell's way to the 2000 Olympic final in the coxless four ~ the road to Sydney proved not always to be straight... Enjoy! The Presidents who will lead the Oxford and Cambridge University Boat Clubs for the 2013-14 Boat Race season have been announced today. Canadian Double Olympic medallist, Malcolm Howard, will be looking to lead the Dark Blues to consecutive victories in The 2014 BNY Mellon Boat Race, whilst American Double Blue Steve Dudek will take charge of the CUBC as they bounce back from a narrow defeat in 2013. Malcolm Howard, new President of OUBC, at stroke. Malcolm Howard became the first Olympian ever to row The Boat Race having already won two Olympic medals when he competed last year as stroke of the victorious Oxford crew. He grew up five minutes away from the Canadian National Team centre in Victoria so perhaps success in rowing was always meant to be. As well as winning Olympic Gold in Beijing and Silver in London, he is a Senior, U23 and Junior World Champion. Howard is 30 years old and is studying for an M Res in Clinical Medicine at Oriel College, having previously studied at Harvard. He is only the second Canadian to be President of the OUBC (Barney Williams was the first in 2005-06). Steve Dudek, new President of CUBC, at six seat. 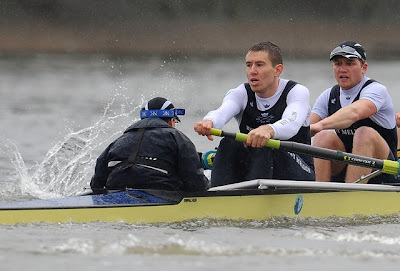 American Steve Dudek has already competed in The Boat Race twice, both times in the Cambridge six seat. He was part of the victorious Light Blue crew in the dramatic 2012 Race, but lost last year in a tightly fought encounter. Dudek first started rowing by chance while at the University of Wisconsin, having been a star American Football player at high school. The 24 year-old is currently in his year at Cambridge, studying for a BA in Land Economy at St. Edmund’s. He is the ninth American to have been chosen as President of the CUBC. The 160th Boat Race – sponsored by BNY Mellon – will take place at 18:00 on Sunday, 6 April, 2014. HTBS editor comment: when the press release mentions ‘last year’s’ race, it actually means the race in April this year, 2013. The new Presidents of the Oxford and Cambridge Women’s Boat Clubs, who will lead their crews into The 2014 Newton Women’s Boat Race, have been named today. Leading the clubs this year will be two returning Blues from the 2013 encounter, Oxford stroke Maxie Scheske, and Cambridge cox Esther Momcilovic. Maxie Scheske stroked the Oxford Blue Boat to victory last year in her first year at the university. She competed for Team GB at the Youth Olympics in 2013, winning Bronze in the eight and Silver in the quad, and at the European Junior Championships in the four and eight. She also won Women’s Henley in 2011, having first learnt to row at St Paul’s Girl’s School in London. Scheske is 19 years old and is studying for a BA in Biology at Magdalen. She has dual British and German nationality. The Newton Women’s Boat Race will be raced at Henley on Sunday, 30 March, 2014. HTBS editor comment: when the press release mentions ‘last year’s’ race, it actually means the race in March this year, 2013. OK, we all know how it ended, the Olympic coxless four race in Sydney 2000, but it is still from an historic point of view darn interesting to watch the build-up that Matthew Pinsent, Tim Foster, Steve Redgrave and James Cracknell went through to reach the Olympic final. There are three episodes of this BBC documentary, episode 2 will run tomorrow and episode 3 the day after that. Enjoy! He looks pompous or a little stuck-up, the oarsman in the picture above. 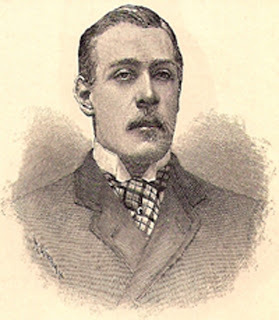 He was one of England’s best oarsmen during the late 1880s and he rowed for Cambridge in five Light Blue crews, becoming a true legend, winning The Boat Race in 1886, 1887, 1888 and 1889, and losing in 1890; president of CUBC the last three years. Yes, of course, I am talking about Stanley Duff Muttlebury, who was all but pompous and stuck-up. He was a large and strong man, with good manners and an enormously kind fellow. 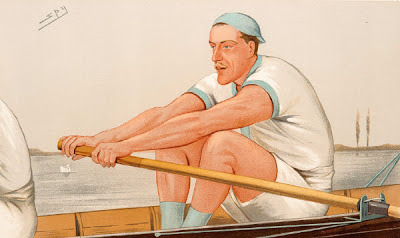 Affectionately known by Cambridge rowers as ‘Muttle’, he not only swept rowing medals and cups at Cambridge, Muttlebury was equally successful at Henley (though he never won the Grand). Many decades after his active rowing career was over, Muttle was still regarded as the ‘the greatest oar ever produced by Cambridge’. Muttle coaching the Light Blue crew in 1892. Muttle was, however, less successful as a coach for the Light Blues during the 1890s, but to be fair, the Dark Blues had some extremely good crews between 1890 and 1898. He was one of SPY’s rowing characters in Vanity Fair, actually the only one portrayed in a boat. He died 80 years ago, on 3 May, 1933, 67 years old. Don Hume, Joe Rantz, George 'Shorty' Hunt, Jim 'Stub' McMillin, John White, Jr., Gordon Adam, Chuck Day, Roger Morris, in front Bob Moch were the boys of the University of Washington’s 1936 crew who represented the USA in the eights at the Olympic Games in Berlin. They were the sons of loggers, shipyard workers and farmers, and they defeated the Italians, Germans and British oarsmen in the Olympic final in front of Adolf Hitler and other Nazi dignitaries. The success of Brown’s book is secured as the Weinstein Company had previously begun on a script for the upcoming film adaptation. Of course, HTBS’s Tim Koch already wrote about this on 15 March, 2011, but now we have a release date for the book as well which is on 4 June, 2013. Read more about Daniel James Brown, his books, and where his latest book tour will take him, here. Soon you will find a review on Brown's book on HTBS. Today, the 15 of May, it’s Straw Hat Day here in America. I have been looking forward to this day for weeks, but the forecast for southeastern Connecticut says scattered showers, so maybe I have to wait…. 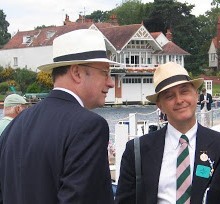 I bought my hat for the 2011 Henley Royal. This year the Regatta is on 3-7 July. I am sorry to say that it’s not on my summer schedule this year. 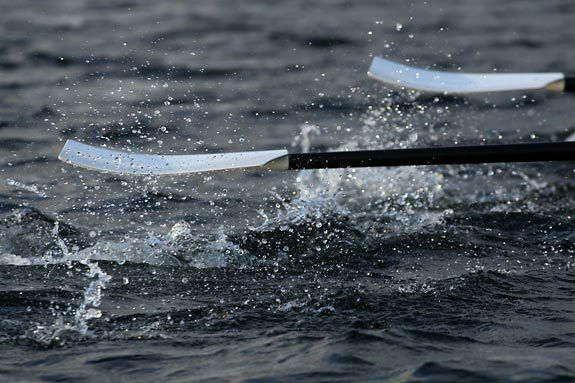 American rowing historians and rowing history buffs alike are very proud to announce that rowing – that is, the sport of rowing – was the first collegiate sport in the USA. Modelled after the famous Oxford and Cambridge Boat Race, which was raced the first time in 1829, the first Yale-Harvard race took place at Lake Winnipesaukee in 1852, with a victory for Harvard. In 1852, Harvard and Yale were not the only colleges with a rowing programme; Dartmouth started its programme in the beginning of the 1830s and students at Trinity College (Hartford, Conn.) formed a rowing club in 1849 (with Yale in 1843 and Harvard in 1844). Although, rowing clubs were formed outside the colleges, it was collegiate rowing that was the firm base whereupon American rowing was resting for many years. It was, for example, college and university crews that represented the USA (and took the gold medals) in the eights in the Olympic Games from 1920 to 1956. 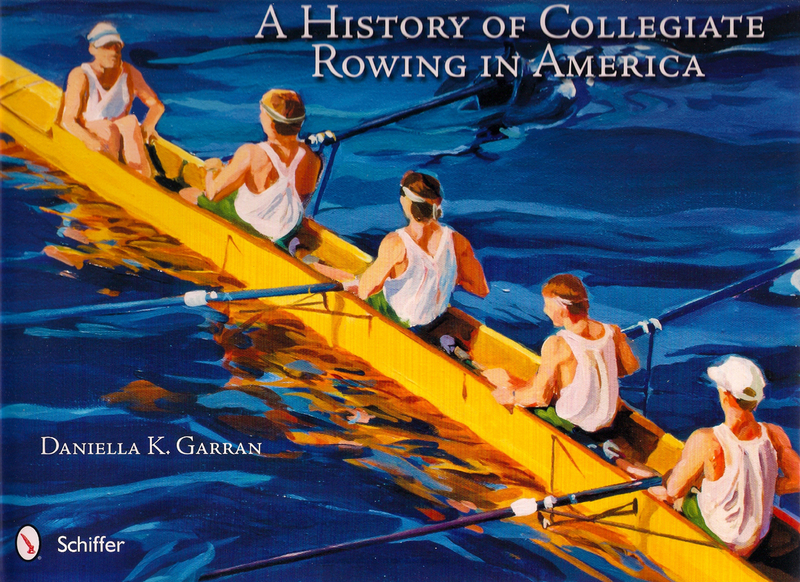 Today there are more than 300 rowing programmes in America, Daniella K. Garran writes in her A History of Collegiate Rowing in America, which was published last autumn by Schiffer Publishing. As with most of Schiffer’s books, A History of Collegiate Rowing in America has a generous amount of beautiful illustrations, well, 142 to be exact, and with that it is a real coffee table book. With all these hundreds of rowing programmes widespread over the country, it is impossible to mention them all in a book close to 200 pages. Instead, it is the usual colleges and universities that are counted up with brief historic notes; in addition to those already mentioned: Bowdoin, Penn, Cornell, Princeton, Brown, Navy, Syracuse, Wisconsin, Washington, Cal-UW, Stanford, UCLA, to only mention a few. Garran, whose own rowing career was as a successful coxswain at Connecticut College in New London, Conn., in order to cover as much ground, or should I say, water, as possible has special chapters on famous collegiate rowing coaches (Courtney, Ebright, Gladstone, Nash, Parker, Teti, Ulbrickson, etc., etc. 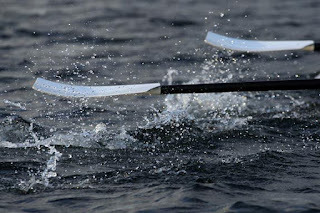 ), Head races, Championships, Sprint races, Women’s rowing, Lightweight rowing, Conferences, and also regattas abroad: Henley in England and Canadian Henley, Under 23 Championships, World University Championships and, of course, the Olympics. Other text bites are rowing equipment and rowing term glossary. The ambitious author has really tried to cover all the bases, not merely by giving us a lot of the history of the different clubs, coaches, crews, and lists of all rowing programmes, etc., she has also added ‘oddities’ that for non-rowers might seem peculiar: ‘shirt betting’ and ‘cox tossing’. Clearly, Garren’s work is meant to be a reference book for those high school students – rowers and non-rowers – who aspire to row at a college or university, but also to steer the post-collegiate student in the right direction when he or she just have to continue to mess around in boats after college graduation, at a club or on a high level as the World Championships or the Olympics. A History of Collegiate Rowing in America is indeed a well-written book and with its many marvellous photographs, most of them in colour – personally I am happy to see some photographs from the National Rowing Hall of Fame in Mystic, Conn., – it is a grand looking book. However, I cannot help wishing for more interference from an editor. Some of the ‘chapters’ or sections are bits and pieces that now look thrown in at the back of the book in lack of better spots and meaning. I found the rowing songs and poems in the book tremendously interesting, except without any deeper descriptions or analysis of these texts, what is the point of publishing them? I also wished that Garren and/or the publisher would have contacted one or all of the three renowned American rowing historians, Tom Weil, Bill Miller or Peter Mallory, for a quick read-through of the manuscript. I am sure they would have spotted some of the unfortunate historical mistakes and errors that have sneaked into the book. To mention some: Hiram Conibear, coach at University of Washington, did not die in a car accident, he died from falling down from a tree (Garren has it correct in one place of the book but wrong in another – the question still remains: was it a plum, an apple or a pear tree? ); the Syracuse coach Gus Eriksen was not a native of Sweden, he was born in Seattle, but could speak Swedish because his parents came from the Swedish-speaking island of Åland, which belongs to Finland; the first Americans to race at Henley Royal Regatta where not from Columbia College in 1878, it was E. Smith of Atlanta RC (New York) in 1872 in the Diamonds; and R.C. Lehmann did not write his Rowing (1897) together with Bertram Fletcher Robinson, the later was the editor of the book (but C.M. Pitman and Guy Nickalls wrote a chapter each in the book). While Garren writes that ‘one cannot help but compare Doggett’s Coat and Badge [Race] to some of the long-storied cup races in American collegiate rowing or to centuries-long traditions such as the Harvard-Yale race’, I have to confess that I do have a hard time comparing any American amateur collegiate rowing race with an English sculling race for professionals which was rowed for the first time close to 70 years before the USA got its independence. Whereas these historical hiccups are slightly irritating, the over-all view of this book is positive. No one can deny that Daniella Garran loves the sport of rowing and that she wants to share it with as many people as possible. I wish her luck in this endeavour. They come from near and far, for glory on the water. In rain or blazing sun, the weather doesn’t matter. And in the sun, or near, they come for blazing weather. That stroke takes the boat to eternal victory. 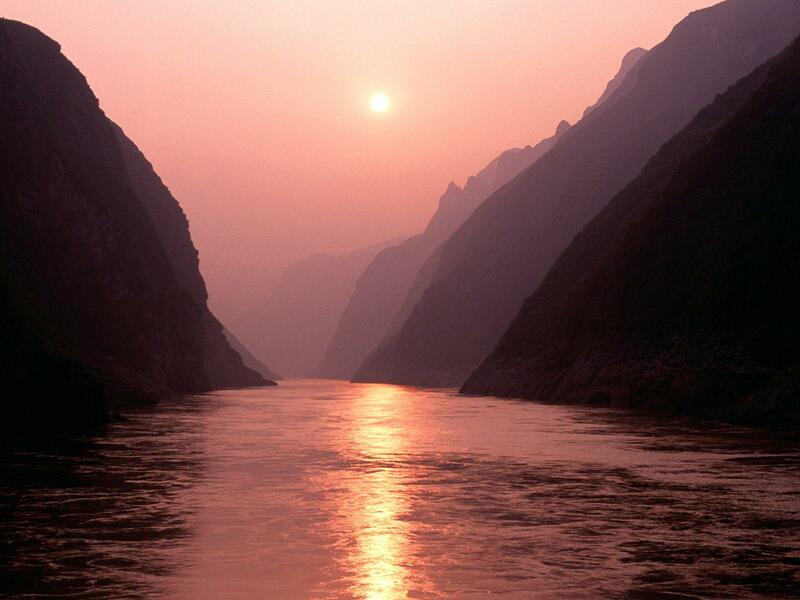 The boat takes that eternal beauty, the rowers’ oars pulling. ‘I have rowed my last race, and I step from the ranks’. My famous race rings from the song: I – I have rowed. And the oarsman’s last clear step ranks from the sky. Their oars blazing for beauty and glory and victory. And I have come far from ranks, or doesn’t the weather matter? *American poet Billy Collins wrote about this poet form: “The paradelle is one of the more demanding French fixed forms, first appearing in the langue d’oc love poetry of the eleventh century. It is a poem of four six-line stanzas in which the first and second lines, as well as the third and fourth lines of the first three stanzas, must be identical. The fifth and sixth lines, which traditionally resolve these stanzas, must use all the words from the preceding lines and only those words. Similarly, the final stanza must use every word from all the preceding stanzas and only these words.” However, read this. 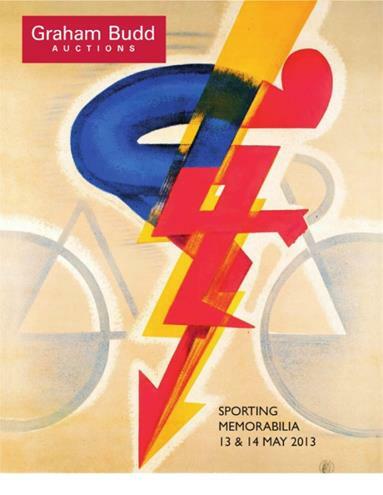 The next Sporting Memorabilia auction by Graham Budd Auctions will be held on 13 and 14 May 2013. The full catalogue is here. Lot 214 - Three pewter Wadham College Oxford ‘Fours’ rowing trophies. Comprising: a pair of ‘First Prize’ double-handled tankards for 1876 and 1877, complete with the names of the crews and coxswain and bearing the college crest, glass bases (one cracked), height 14.5 cm., 5 3/4in., the other a single handled lidded tankard ‘Scratch Fours’ trophy for 1879, also with a glass base, height 16cm., 6 1/4in., all three manufactured by James Dixon & Sons and retailed by Rowell of Oxford. The name of Charles J.Rae (Coxswain) is common to all three trophies and he was almost certainly the recipient. He was born in Alexandria, Egypt in 1858. “One of the Presidents” by Spy, Vanity Fair 22 March 1890. Lot 215 - Five Vanity Fair prints including three oarsmen. Lot 216 - A photographic presentation of Cambridge Town Rowing Club 1913. Two period photos in a double mount with manuscript legend, published by Stearn & Sons, Cambridge, mounted, framed & glazed, overall 78 by 45cm, 3 by 18in. Lot 217 - A photograph album relating to rowing at Cambridge University in 1926. Numerous professional black and white photographs of the college, its rowers and competition, some loose photographs within the album as well. 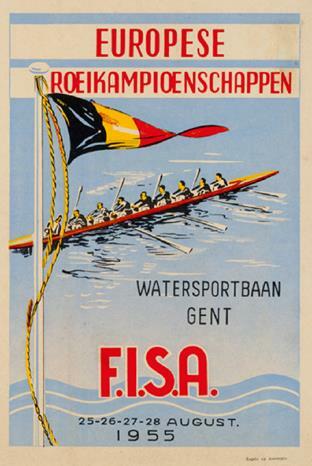 Lot 218 - A small poster for the 1955 European Rowing Championships at Gent. Published in Belgium, backed onto linen, 28 by 20cm, 11 by 8in. 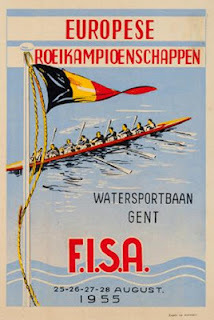 The Watersportbaan is a five lane rowing race course in the Belgian city of Ghent that was first used in 1954. The Wikipedia page has a fine picture of the 1906 Grand Challenge Cup winners - Royal Club Nautique de Gand. 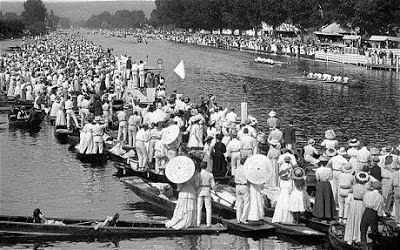 They retained the ‘Grand’ in 1907 but were not allowed to compete at Henley Royal Regatta the following year although they did not wish to anyway! See lot 393 below. HTBS readers will also be interested in two lots not included in the rowing section. The first, lot 3, is included in the ‘General & Mixed Sports’ section and the second, lot 393 in the ‘Olympic Games & Athletics’ section, being held on the 14 May. Lot 3 - Desborough of Taplow (The Right Hon. Lord) Fifty Years of Sport at Oxford, Cambridge, Eton, Harrow and Winchester. Lot 393 - A superb and very large period photograph of the London 1908 Olympic Games Regatta at Henley. 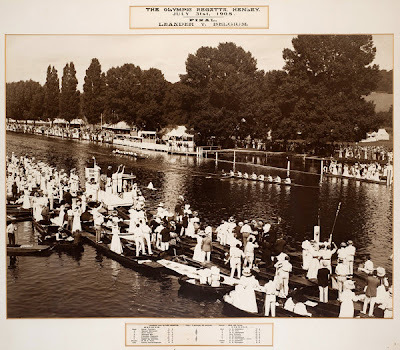 The image in fine condition and measuring 70 by 96cm, 27½ by 37¾ in, mounted with original printed title reading THE OLYMPIC REGATTA, HENLEY, JULY 31st 1908, FINAL, LEANDER v BELGIUM, and with a printed legend beneath detailing the crews and result, under glass in original wooden frame, overall 101 by 124cm, 40 by 49in. There are many similar photographs on the internet: The following one was taken a few seconds before the one in lot 393 but from a slightly different angle. The finish judge has the flag raised, ready to declare Leander as Olympic Champions. The progress board, if that is what it was called in 1908, has the crews as BELGIUM and LEANDER. Great Britain had two crews in the event, Cambridge, winners of a bronze medal, being the second. There were only four events in 1908 and both loosing semi-finalists were awarded bronze medals. Belgium was represented by Royal Club Nautique de Gand. You will find a list of all the medallists here. The two-day sale takes place in the saleroom at Sotheby's, 34-35 New Bond Street, London, W1A 2AA. Relax – A Third Degree is Enough!